When it comes to car detailing, your ride’s paintwork is the star of the show. A car buffer can help you achieve that award-winning shine with less effort than you usually would need to give. Whether you’re a certified autogeek or not, you know that the paintwork needs to be kept glossy. For that to happen, you will need to start buffing car scratches out from your finish with the help of auto polish. Sure you can do that with regular soft foam buffing pads but you’ll probably sore after. So, to help you to find the best car buffer, we’ve searched and look over hundreds of car polishing machine and car wax buffer and compile a list of the best car buffers and car polishers in the market today. 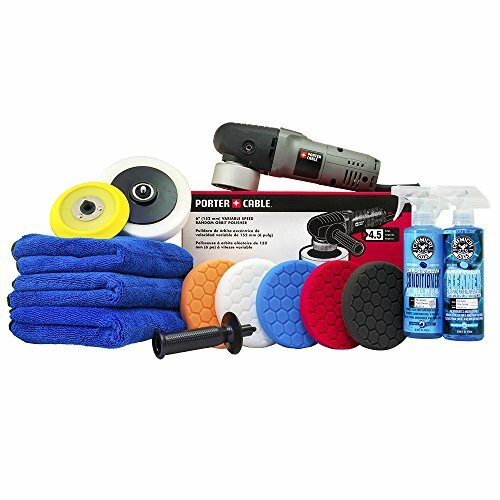 So, if you’re looking to buy a car buffer or polisher, continue reading the best electric car polisher and buffer review below. Whether you’re a weekend enthusiast, a novice, or a professional detailer, we guarantee you’ll find one that suits you. Why Use a Car Buffing Machine? What is Buffing a Car? How to Compound a Car With a Buffer? How to Wax a Car With a Buffer? If you don’t want to go through the manual effort of buffing your car, your best bet would be with a car buffer polisher. A car polisher and buffer machine can help you achieve that amazingly high-shine you want with less the labor and in less time. It’s a product worth investing in, that’s for sure! Now, if you’re not the type who likes to read through reviews but want to know which is the best car buffers and car polishers quickly, then we’d like to recommend the above three picks. When it comes to power tools, DeWalt is a brand you can trust. They have been in the business for almost 100 years, and they’ve consistently given their customers only the best quality products they deserve. The DWP849X Variable Speed Polisher is no different! 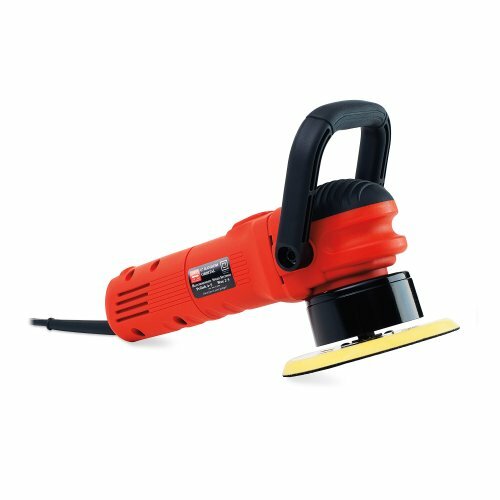 It has a strong 12-amp, all ball-bearing construction motor that makes this polisher highly durable and can last a long time. Its variable speed dial is conveniently placed so that you can set the speed to whichever you need. That’s from 0-600/3500 rpm! You can also use its excellent variable speed trigger to control the speed easily. It also features precision-cut steel gears that allow for a better and smoother operation. You can also change your backing plates quickly with the convenient spindle lock button. Best of all, it has a Wool Ingestion Shield that prevents wool ingestion into the motor parts, so that your buffer can last longer than others. 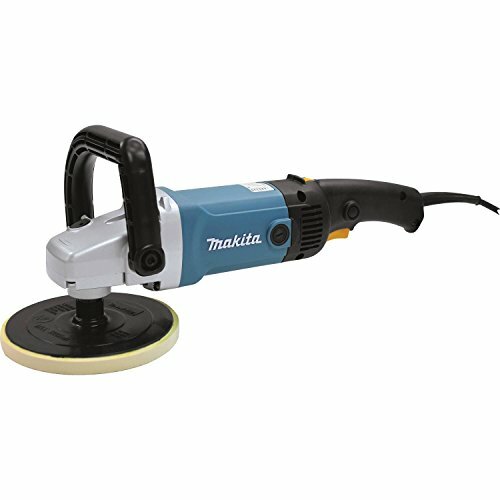 Another remarkable car polisher to look into is Makita’s 9237CX3. Makita is another globally leading brand when it comes to power tools so you can get a guaranteed fantastic performance from this buffer. If you want consistent power and excellent speed control, then this machine is the one for you. It features a soft start so for smoother start-ups and will fling off polish, wax, or paste less often than other machines. It has many new performance features that can result in better clear coat finishes. Plus, its remarkable speed control can maintain a constant speed even under load! Not only that, but this car polisher also takes into account the comfort of its user. With a rubberized loop handle, you can use it more comfortably while it helps protect nearby surfaces from damage. Talk about hitting two birds with one stone! It also has an effective wires mesh that helps reduce the amount of wool fibers that can enter the motor. Sometimes you just prefer the manual way, right? After all, there’s a vast difference in the beauty of doing something manually can do. 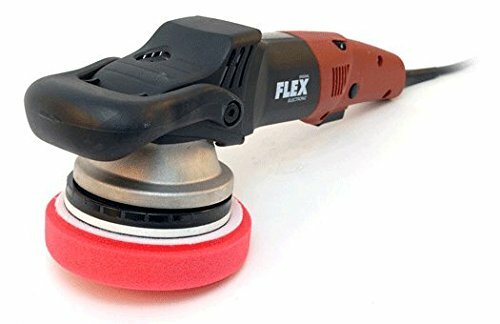 But if you don’t have the time to spare yet still want something that resembles the beauty of manual buffing, you might want to try this electric car buffer from Flex. It has an innovative orbital rotation that can simulate the circular movement of a human’s hand while it polishes your car’s surface. It also has a high-powered motor that can handle extreme loads. Its accelerator trigger switch and easy speed selection enable you to better control the acceleration to optimal speed, which results in smoother operation. Not only that but it has a terrific feature like restart protection if you encounter a power interruption to lessen the chances of your machine malfunctioning. It also has additional overload protection, as well as temperature monitoring, so you know you’re safe. 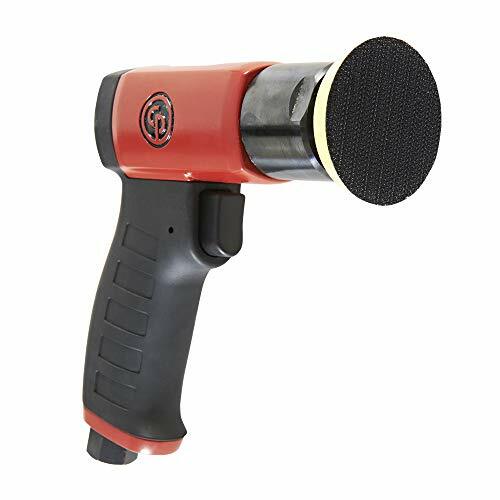 If you’re a first-timer looking for a starting buffing machine, this one from Griot’s Garage might just be the perfect product for you! It has a fantastic ergonomic design that makes it comfortable to use, whether you’re just a beginner or a professional. Its six-position handle has a rubberized palm grip and finger notch to make it non-slip, making it super safe to use. Plus, its power switch is conveniently located for easy access and has a six-setting speed control dial. 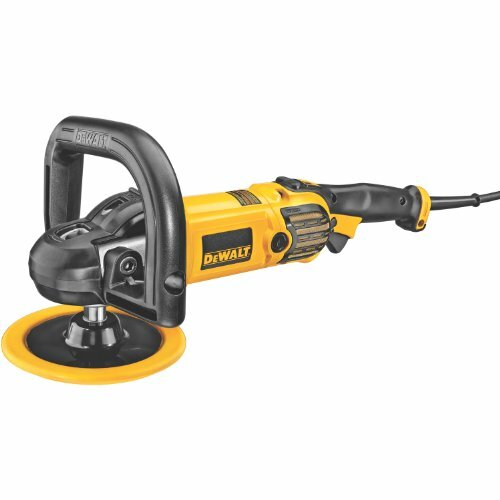 This polisher’s six-inch random orbital has a hook-and-loop backing plate that makes it easy to change pads. You can quickly apply wax and sealant as well as remove scratches with this gem here. It also features a 10-foot and 25-foot power cord that makes it reach more easily. 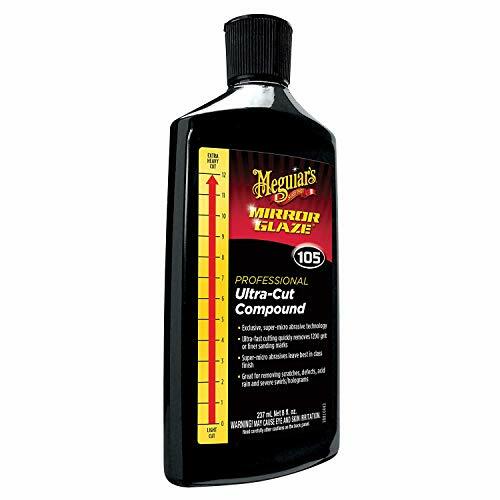 The brand Meguiar’s has been a cult classic for many years when it comes to the automotive industry. There’s a huge chance that the average car owner has at least one Meguiar’s product in his car care arsenal. They are very well known for the detailing products. Maybe not so much with their power tools, but they’re expanding. The MT300 is an ambitious product by the brand that works well enough. This dual action polisher has a convenient thumb adjustable speed dial that allows faster operation while maintaining superior polishing. Its ergonomic design also reduces the discomfort you feel when you use this polisher. However, it might not be for everyone, though. 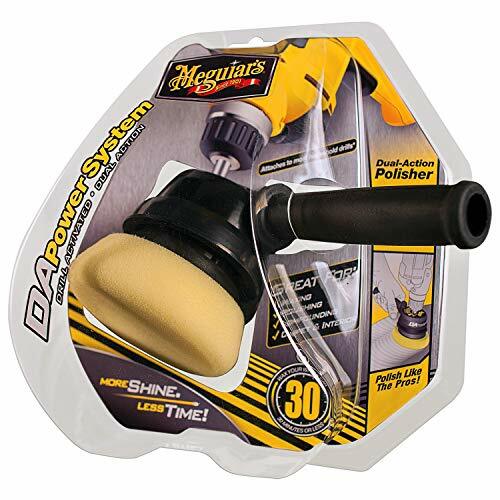 There have been numerous reviews that this polisher can be a bit loud. It also tends to vibrate at high speed and can get hot. So it may be a good home polisher but not so much a professional one. Another convenient variety of car buffer is the cordless type. You will have more freedom to move if you’re not hindered by any cord. If you’re looking for better mobility and faster detailing, this buffer by Meguiar’s is your best match! It is fantastic for waxing, polishing, and compounding. You can even use it for your carpets and interior. Its dual action motion enables you to remove imperfections and apply car care products without further damaging your paint. Since this isn’t a full cordless buffer, it makes for a great starting buffer for beginners. It’s the perfect middle ground between hand buffing and machine buffing. The G3500 DA Power System can be attached to standard household drills. However, it is still recommended to use it with a 3/8-inch corded drill that runs between 1200-2500 rpm. We have found you a suitable list of electric drills to use with this product, here. 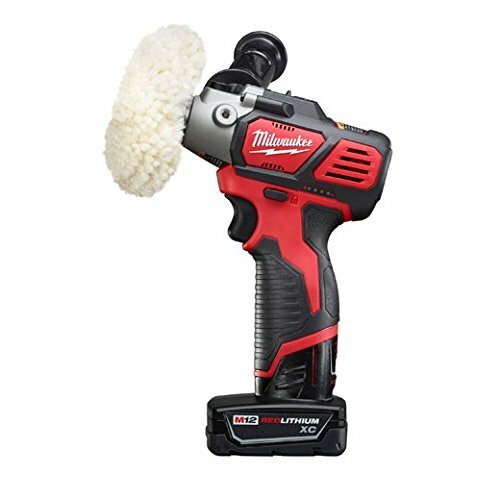 If you want a powerful buffer that’s highly durable, easy to use, and is cordless, you might like to try out the 2438-22X polisher from Milwaukee. It’s a relatively unknown brand, but this product has found a following of its own. It has an 8300rpm high-speed setting that allows you to leave behind certain products because you wouldn’t need it anymore. 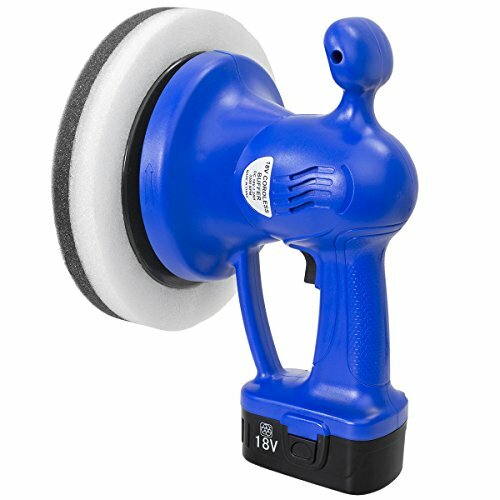 This polisher also features a convenient hook-and-loop backing pad that makes it easy to switch between buffing pads. Therefore, it cuts your detailing time considerably. 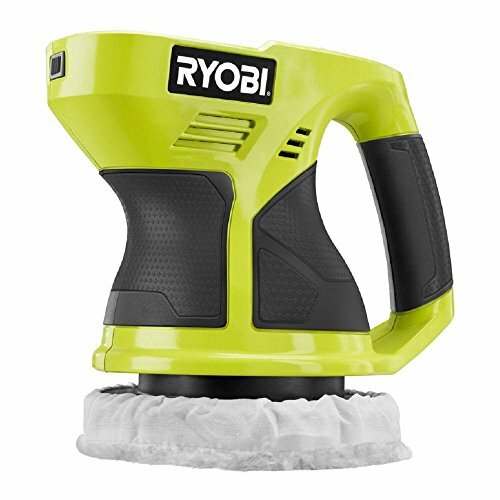 Another great wireless polisher to try out is the P430G from Ryobi. This new and improved 18-volt model not only allows for better and higher performance but also for maximum comfort. It features a fantastic barrel grip design with an innovative GripZone overmold so that you’ll be comfortable while using it. It operates up to 4,000 rpm. This buffer is a part of a vast line from Ryobi that includes over 50 amazing tools that can help you with any of your DIY projects. Another model that worth mentioning is the XtremepowerUS Portable Polisher. Powered by just an 18v battery, this cordless polisher can get the job done well. It is designed with a front and rear handle so that you can have a firm grip on the polisher and do the buffering work steadily. 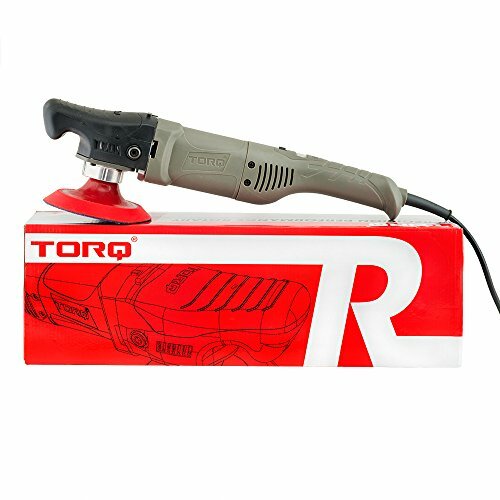 Although this polisher a lower rating compared to the above models but if you’re looking for an inexpensive buffer machine or a beginner that not keen on spending a considerable amount, then this is the cheapest cordless buffer machine you can get your hand on. Most car buffers are quite large in size, and that’s great if you want to polish more surface for less time. However, it gets a bit tricky when you want to polish hard-to-reach corners. Not to worry! All you need is a mini handheld buffer. Having a tiny handheld polisher in your arsenal allows you to comfortably reach those small corners without damaging other parts of your car. Here’s another buffer from Griot’s Garage! If you’re worried about the tight spaces and elaborate body panels, a mini polisher like this one is the perfect solution. 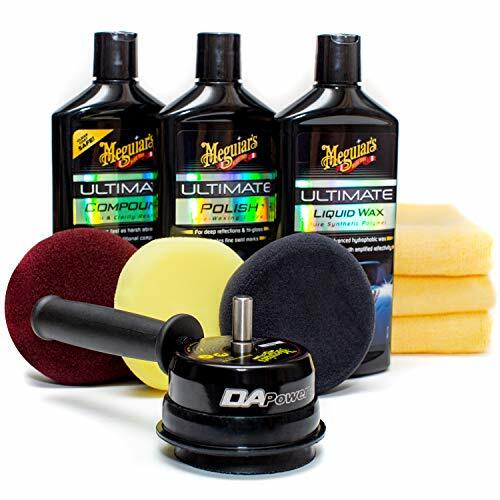 This car buffer is part of a complete polishing kit, so you don’t need to buy separately. 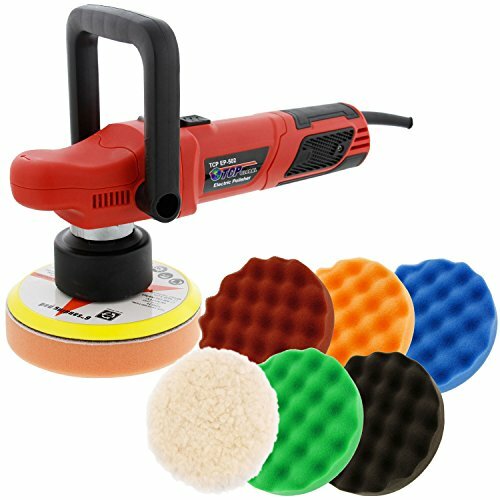 This 3-inch polisher comes with red wax pads, orange polishing pads, black finishing pads as well as 3 microfiber towels. All of these excellent accessories can be put inside a water-resistant bag that comes along with the purchase so you can easily store in your car trunk. Another small but powerful polisher is the CP7201 from Chicago Pneumatic. It’s conveniently compact and lightweight but don’t let that fool you. This air polisher has an adjustable power regulator that helps you control its speed. This 3-inch handheld tool is specially designed for buffing very tight areas where larger polishers can’t reach. It is also made of high-quality materials, so you know you’re getting something durable and safe. 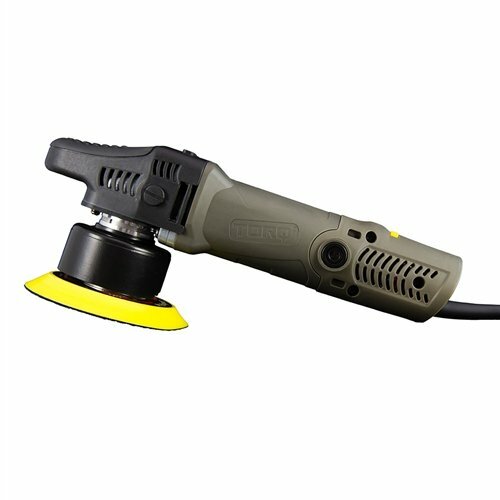 This mini polisher gives high performance and can even be used professionally in woodworking shops, fabrication shops, and of course detail shops. Let’s not forget its impressive rubber molded pistol grip that provides effective comfort to you while you’re using it. 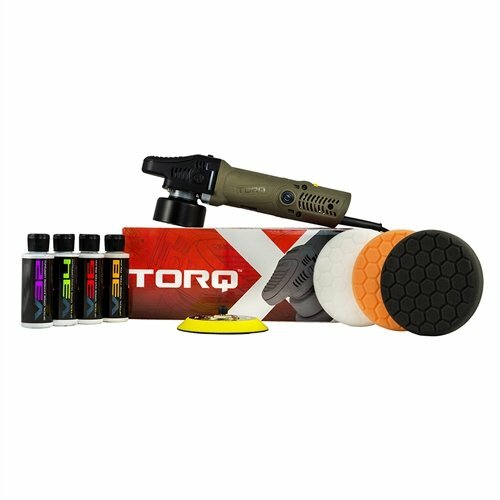 Whether you’re a professional detailer or a regular weekend enthusiast, this random orbital polisher by Torq is an excellent addition to your detailing kit. It effectively removes imperfections like swirls and scratches from your paint. Its easy-to-use features are perfect for the average car owner and are a great relief for professional users. This polisher uses standard spindle thread back plates that can switch to 3-inch mini plates and 6-inch regular plates. Not only can this buffer polish your paint effectively, but it can also polish your vehicle’s headlights and tailing light so say goodbye to yellowing and faded plastic! Don’t be fooled by its small size. This polisher can still deliver powerful and beautiful results. One of the popular types of car buffers is the rotary buffer. If you’re looking to remove paint and to reapply for higher and a more blinding gloss, you might want to look into this kind of buffer since it’s a direct drive machine. TCP Global’s Dual Action polisher comes with different buffing pads including a wool polishing pad as well as a waffle foam. This polisher can amazingly restore automotive coatings severely damaged by oxidation and other environmental factors. This high speed buffer machine offers high performance with its powerful 7.5 amp motor. It also features a variable speed dial control that helps you adjust the speed from 2000 to 6400 orbits per minute. This polishing machine also offers 6 different settings that you can use for different materials and different surface problems. Plus, its different polishing pads offer smoother polishing because of a reduction in heat build-up and better airflow. It also features a comfortable design with its interchangeable D-handle and side handle. Another excellent car buffer from Makita is the 9227C. For a full-sized buffer, it only weighs 6.6 pounds and is built with user comfort in mind. Its handle has a lock-on trigger switch, as well as a loop handler for a more comfortable grip. Your safety was also thought of in the design and can be seen with the three-prong plug which reduces static electricity accumulation. Not only that, but you can use this buffer to polish and sand not just your car, but it’s also suitable for larger vehicles like boat and truck. So marine enthusiasts enjoy! Use its electronic speed control to maintain a constant speed even under load. That’s the beautiful work that its powerful 10-amp motor can do. It can even operate at 600-3,000 rpm! So you can use it for a fast and amazing clear coat finishing. If precision is your goal, the BUF504 is the polishing solution you need. It has a four-digit rpm display so that you can accurately record the rpm you’re operating on while in real time. It also boasts of a User-Centered design, so you know that you’ll be working in maximum comfort with this product. Its amazing 900-watt motor enables you to have smoother power delivery and start-up function, no matter the speed setting you’re in. That gives you a chance for better and more beautiful results. 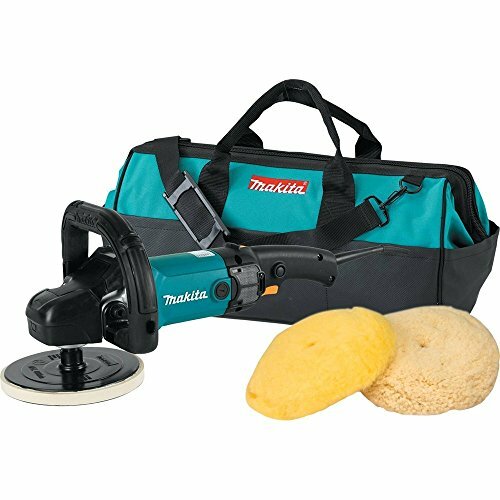 Plus, it features an innovative rapid-release button for its spindle lock and backing plate for easier re-attachment of your buffing pads. One other type of buffer (and the most common one you can find right now) is the random orbital buffer. Before diving into the reviews to see what the best orbital buffer for you is, it’s better to know how to use on first. How to Polish a Car With an Orbital Buffer? An orbital buffer spins on a center spindle and rotates in an eccentric offset. What’s great about an orbital polisher is that it can improve the texture and luster of your car’s paint with very minimal risk. That’s why even beginners will find it easy to use. If you want to get a detailed step-by-step tutorial on how to use a polisher, watch this video from Youtube. There are quite a few good orbital polisher brands that you can choose from in the market. To find out more about orbital buffer and polisher, we have an in-depth written for it. Head over to the DA orbital polisher article for more info. Another buffer from Griot’s Garage is the 10813STDCRD. This is already the 3rd generation of Griot’s orbital buffer because they want to provide its customers with innovative and high-performing products continuously. That’s why this buffer was created and improved with the help of their customers’ feedbacks. This buffer features a 6-inch hook-and-loop backing plate with a powerful 850-watt motor. It also has 6 fantastic speed settings that you can use for different tasks. Plus, they reworked the design of the buffer for better and more comfortable use. They changed the handle into a rubberized, adjustable kind and they shifted the speed control dial and power switch into more convenient locations. Never mind that it’s full-size, this polisher is super lightweight at 4.5 pounds. But that doesn’t mean it compromises performance! You can polish your vehicle through its powerful 600-watt motor and can operate in 1500-6800 orbits per minute. Plus, this polisher already comes with 6 different and useful accessories. There’s a soft pad, a medium pad, and a hard pad as well as a microfiber cloth, a wash mitt, and a very convenient carrying bag. Not only that, but it also features a 19.6 feet power cord so you can efficiently work around your car. 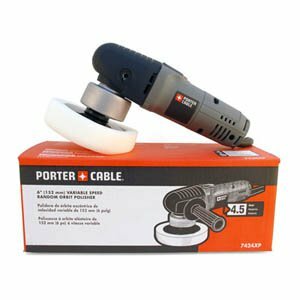 Last but definitely not the least, is the 7424XP polisher by Porter-Cable. 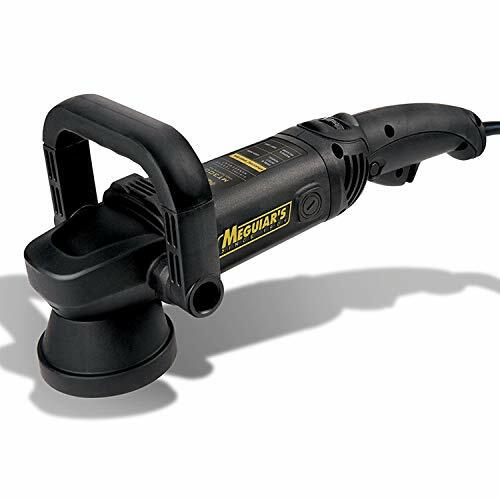 This polisher is ideal for polishing and sanding both your automotive and marine vehicles. Its 4.5 amp motor also enables you to produce a beautiful, swirl-free result. Its electronic variable speed dial can operate at 2,500-6,800 orbits per minute. It also features full ball and roller bearing for more tough work. Plus, it doesn’t matter if you’re left or right handed! This polisher has an innovative 2-position removable side handle that you can interchange to fit your needs better. While buying a car buffer on its own is a good investment in itself, getting a kit is definitely a better bargain. 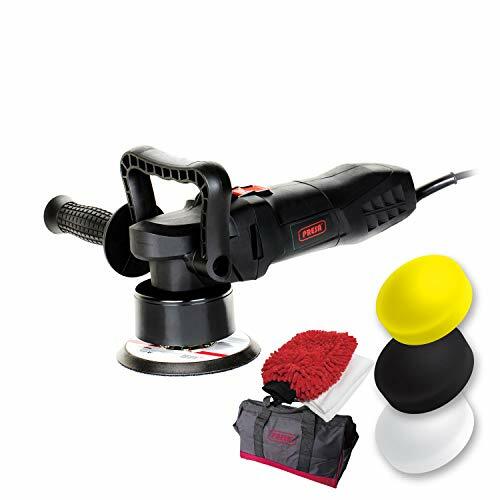 You can get much-needed accessories that you will need when you use a polisher. Before you ask what does buffing a car do, it’s best to know polishing is first. The two are connected to each other after all. Polishing is removing scratches from your car with the use of very fine abrasives and using a buffing machine to aid you can cut the working time tremendously. Think of car polish as the auto equivalent of sandpaper. By lightly and methodically ‘scratching’ your ride’s surface, you can remove larger scratches until it is no longer visible. That leaves you with a smoother finish to work with. A great brand to try out would be the Nu Finish Polish (a good detailer will swear by this!). Now, doing this manually is definitely possible, but it will be tiring and long. If you want a quick application for the unsightly parts of your finish, then gadgets like the Makita or Dewalt buffer are definitely needed. An electric polisher helps you spread your polish quickly and evenly. There are many types to choose from. It really depends on your skill level and preference. You can choose between a high-speed buffer or a variable speed buffer, and even rotary or orbital buffer and polisher. Buffing is the name of the process you do when you’re polishing. It uses polishing compounds to strip away a very thin layer of paint (as thin as a piece of a sticky note or less) so that you are left with a smooth, clear, and scratch-free surface. Manual Buffing – It is when you use a soft foam pad or a rag to remove the scratches by hand. Recommended to be used on small areas. Orbital Buffing – An orbital polisher is used to make the polishing disc spin and move in a circular motion. It is often used for finishing. High-Speed Buffing – It uses bigger pads spinning at higher speeds to remove larger parts of the paint quicker. Recommended for professional use as it can also damage your painted surface if not careful. Now that you know what buffing a car means, it’s time for you to learn more about the leading brands in the car buffing industry. Makita Corporation is one of the leading Japanese companies that sell power tools around the world, and that includes car buffers. They started out as an electric motor sales and repair company back in 1915 which gives them more than 100 years of experience when it comes to providing highly innovative products and services. Aside from drills, saws, woodwork, and other power equipment, they also have 8 different models of polishers you can choose from. Makita is a well-known brand because it only gives its customers the best that they deserve, and having a Makita buffer in your detailing arsenal can guarantee excellent results. Read this article if you want to learn more about the Makita Corporation and their different polishers. DeWalt is an American manufacturing company that’s known for its high-quality power equipment worldwide. It has so many products to offer today, and the brand is so famous that it can be a bit surprising to know that they have very humble beginnings. In 1922, Raymond DeWalt was working in Seabrook Farms when he created and perfected his very first woodworking machine. This machine, which he called ‘Wonder Worker’ paved the way into the building of the DEWALT Products company in 1924. The rest is history! Nowadays, the company not only gives its customers cutting-edge products that they can use on their projects but DeWalt also continues to chase innovations to ensure that you only get the latest, most advanced technology available today. If you want to read more about DeWalt and its many power tools (including car buffers), read this article here. Knowing the leaders of the industry is all good and well, but buffing wouldn’t be necessary if you didn’t have polish. It’s now time to discover one of the best car polish brands you can try out. Nu Finish Car Polish is a product created by the Reed-Union Corporation. This pioneering company was first established during 1929 in Chicago as a specialty coatings manufacturer. One of their very first best-selling products was the Nu Enamel which restores an old surface to look like new. 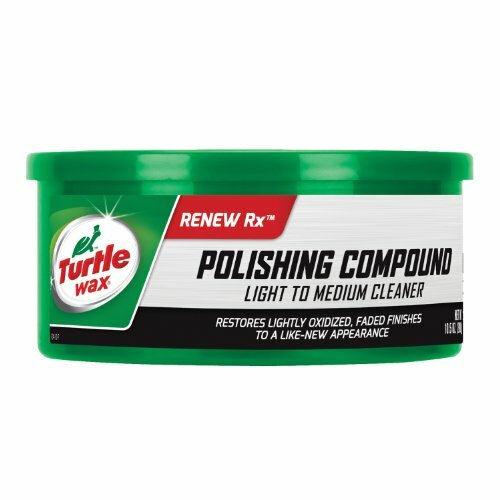 Fast forward a few years and many more innovative products, the company released the Nu Finish Car Polish to compete with the industry favorite of the time, carnauba wax. Nu Finish is said to be one of the longest lasting car polishes in the market and even sells itself as a Once a Year Polish. Well, that doesn’t say much now because of the many new long-wearing products available, but this polish is still a great brand to try. If you want to learn more about this excellent car polish, read the Nu Finish car polish review article written by us. After reading about buffing machines and products, another thing you might want to know more about is a handy accessory you’ll definitely be purchasing quite regularly: buffing pads. Contrary to what you may believe right now, buffing pads aren’t just for cars. They are generally used if you want to polish up any surface to make it glossier. However, they are much more known as car polishing pads because they’re most often used as such. Car buffer pads are circular and are made with soft foam, wool, microfiber, or a combination of all three. Some pads can be used alone for manual buffing, but most of them are created to be attached to polishers. That’s why most buffing pads are created with two primary materials. The first material is the soft foam which is what must come in contact with the paint. The second material is some sort of Velcro to keep the pad attached to a backing plate. It’s important to make sure that only the foam comes in contact with your surface or you could risk scratching it up more. 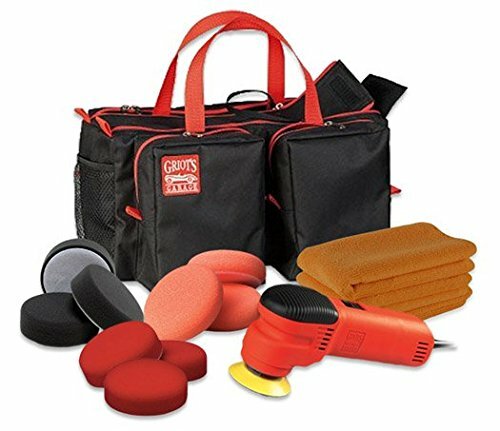 If you want to know more about buffing pads and the different brands and which are the best buffing pads to buy, you can check out and read this article here. After learning what products to use, you’re probably eager to start buffing out your car to get that shinier finish you’ve always dreamed about. You will need a few more tips and advice before getting started, though. First things first, remember that you will be working with abrasives (no matter how fine they are). If you’re not careful, you might scratch your paint even further rather than removing it. So it’s best to be 100% sure that you can do it first. You might be asking how to buff out scratches on a car? Well, you’d probably need a compound or a polish. If you want to buff out scratches on your car, a buffer won’t work without any product to apply with. That’s where a buffing compound for cars come in. When your car gets scratched, the imperfections usually leave its surface uneven. A rubbing compound can be used to level out or flatten the surface back to its original form. Now that you know what to buy, you need to learn how to correctly apply it to reduce the chances of making a mistake and marring your finish instead of fixing it. First, make sure to wash your car thoroughly. This helps get rid of some of the imperfections and dirt on your surface. 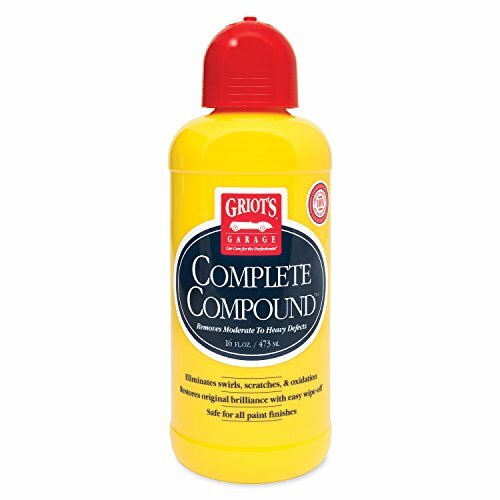 Next, apply a generous amount of the compound on the part you want to buff. Spread it evenly across using the buffing pad (while switched off). By doing so, you can make sure that the compound doesn’t splatter on other parts of the surface. Once that is done, turn on your buffer and work on your chosen area in circular motions. Make sure that the buffer is flat on the surface all the time to avoid swirls. Do this until the paint becomes glossy. You don’t need to buff your car regularly; once a year is enough. After applying the compound, it’s best to apply car wax. 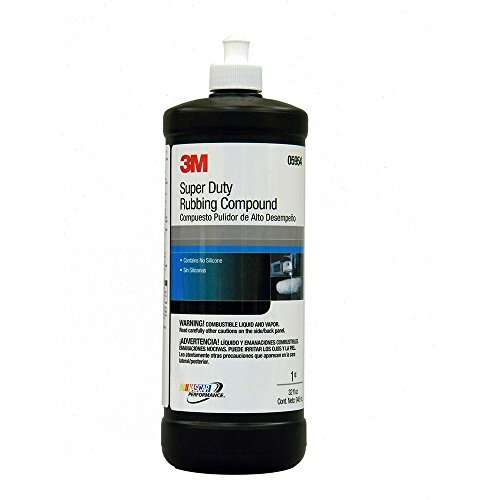 The compound strips off any protective properties your paint has so waxing it will give those back. Check out this video for more details on how to compound a car. You’ve learned how to apply the compound. Now, let’s talk about how to buff a car. But buffing doesn’t stop with only a compound. You can also use it to apply polish and wax. Polishing a car with a buffer is similar to how you apply a compound. They also do the same benefits, essentially. Their only distinction is the level on which they could strip your car’s paint. Similarly, the method of applying car wax with a buffer remains almost the same. Start by applying the car wax with a clean buffing pad. Instead of spreading it with the power turned off, use the buffer to steadily pulse the wax on the surface, so it doesn’t cake up. Allow the wax to set depending on its package instructions. Remove the wax with a microfiber towel using circular motions for a glossier, more durable finish.